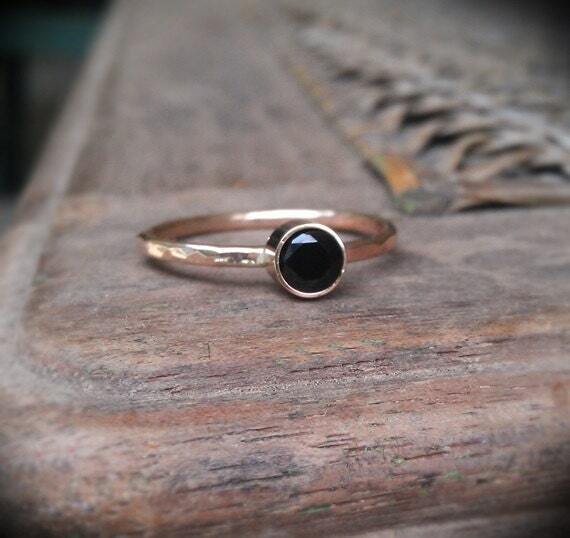 A naturally stunning 4mm black spinel gemstone is set in a 14k solid gold bezel. The band is hand forged from 16 gauge gold filled wire and hammered for a gorgeous organic look. 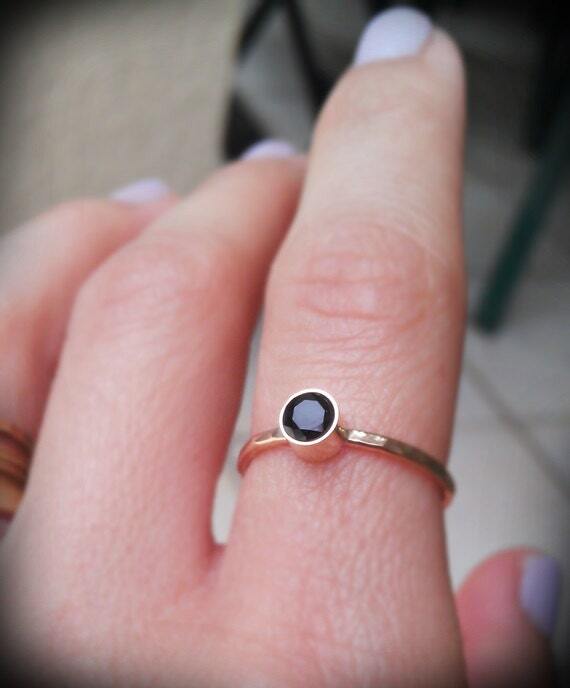 This ring looks great on its own or stacked with other rings from our shop. 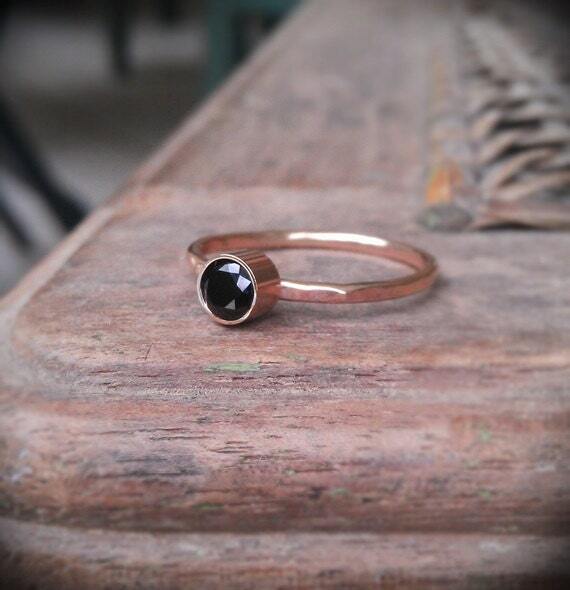 This ring can also be made with a 14k rose gold band or sterling silver band. Please be sure to include your size (3-11) upon purchase. I can do half and quarter sizes as well. Convo me if you have any questions!